We are engaged in offering Stainless Steel Medicine Trolleys to the clients. 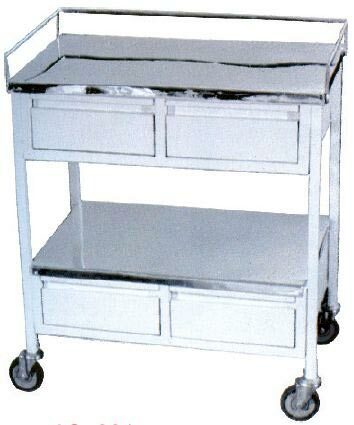 Made using high grade raw material, our Stainless Steel Medicine Trolleys are available with four drawers. Our Stainless Steel Medicine Trolleys are available with easy to carry features for carrying them from one place to another.